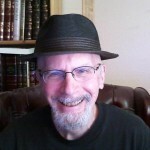 Rabbi Dr. Seth (Avi) Kadish teaches medieval Jewish philosophy and history at Oranim Teacher’s College, and in the Overseas School at the University of Haifa. He earned his Ph.D. at the University of Haifa (2006), and previously studied at Yeshiva University (where he received his rabbinic ordination and master’s degrees in Bible and Jewish Education). For many years he also taught immigrant soldiers in the Nativ program of the IDF education corps, and adult Israeli Jewish education for the Hebrew University’s Melton School. He lives in Karmiel, Israel with his wife and children, where he is involved in building modern Orthodox communities that are meant to be open and welcoming to the entire public. Rabbi Kadish is the author of Kavvana: Directing the Heart in Jewish Prayer and The Book of Abraham: Rabbi Shimon ben Zemah Duran and the School of Rabbenu Nissim Gerondi. Ze'ev is the coordinator of the Elul program and manages and supervises every element of the month-long seminar for rabbinical students from the United States. Before arriving in Hanaton, Ze'ev was the CEO of Keren Malki - an Israeli nonprofit organization that assists families of children with special needs, and the director of education and special projects in the Hatikvati network. Ze'ev worked for years with youth and was a delegate to the Ramah camps (California, Canada, Poconos, and the Rama Seminary in Israel) as well as other JCC camps. From 1997 to 2000, he served as a central emissary for the USY movement in North America, on behalf of the Jewish Agency. He later served as the director of the youth movement of the Masorti Movement in Israel for seven years and is also the editor of the siddur "Ani Tefilati - Siddur Yisraeli" and the "Poteach Sha'ar" Machzor for the High Holidays of the Masorti Movement. Ze'ev was born and raised in the religious kibbutz of Sa'ad in the northern Negev, three kilometers east of Gaza City and now lives in Jerusalem with his wife, Dr. Lisa Keinan and their three children - all graduates of Noam. David Zvi Kalman is a doctoral student in Near Eastern Languages and Civilizations at the University of Pennsylvania; previously, he attended the University of Toronto and McGill University. Along with his wife, Yael, he also serves as the Hadar Campus Scholar for Penn, where he works to embody and engender the values of Mechon Hadar. 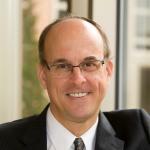 He has been involved in several media projects, including Adashot and AtoneNet. He lives in Philadelphia. 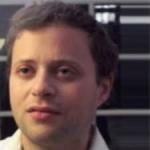 Benj Kamm is a Boston-area systems analyst. His projects in the Jewish world have included working for Encounter in Jerusalem, and co-chairing and teaching at the National Havurah Committee Summer Institute, Jews in the Woods, the Kavod Jewish Social Justice house, and Hillel at Brown University. Benj plays guitar and banjo and enjoys learning piyyutim (Jewish liturgical poetry) from across Jewish history and ethnic traditions. Mordecai Menahem Kaplan (June 11, 1881 – November 8, 1983), was a rabbi, essayist and Jewish educator and the co-founder of Reconstructionist Judaism along with his son-in-law Ira Eisenstein. Karaite Jews of America is a Jewish organization that promotes the study and observance of Karaite Judaism. Having been active in congregations of 3 different Chassidic dynasties (ChaBa”D over the course of a lifetime, Twersky, and Bostoner Rebbe), Rabbi R. Karpov, Ph.D. has for 30+ years been making available traditional liturgical sources’ deep spiritual core, and since the early 1990s translating ceremonial texts of 16th-century Lurianic Kabbalists of Tzfat (Safed), including: Tikkun Leil Shavuoth (ABQ rollout 2013/5773), Tikkun Leil Hoshannah Rabbah, 7 Adar, Leil Sh’vii Shel Pesach (Mishmar—anniversary of crossing the Sea of Reeds); and Tikkun Chatzoth. Ordained by 3 Orthodox-ordained rabbis, Rabbi Karpov maintained a Shomereth Mitzvoth path while serving Conservative pulpits for 7+ years, beginning in 1989 as 1 of the first 10 woman rabbis to serve a solo United Synagogue pulpit. 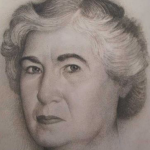 Having in the mid-1980s expanded the Navajo/Jewish dialogue that Dr. Avrum Organick pioneered, she continued to serve the Window Rock centered expanse between Albuquerque, Flagstaff, and the Farmington/Durango area that she helped open up with a 1997 Pesach Seder receiving front-page Durango newspaper coverage. 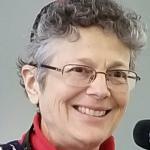 After serving as Traditional Egalitarian synagogue rabbi, founded and served the Window Rock area based Jewish Center(s) of Indian Country, identifying and drawing together ~60+ Jewish family units for Pesach Seders, High Holidays (mechitzah down in front), Purim and Jewish/Native dialogue, while teaching at Navajo Community College/Diné College. Available to run ceremonies. Rabbi Elie Kaunfer is co-founder, rosh yeshiva and executive director of Mechon Hadar and on the Talmud faculty at Yeshivat Hadar. A graduate of Harvard College, he was ordained at the Jewish Theological Seminary, where he also completed an MA and is pursuing a doctorate in liturgy. A Wexner Graduate Fellow, Elie is a co-founder of Kehilat Hadar and in 2009 Newsweek named him one of the top 50 rabbis in America. He was selected as an inaugural AVI CHAI Fellow, and is the author of Empowered Judaism: What Independent Minyanim Can Teach Us About Building Vibrant Jewish Communities (Jewish Lights, 2010). Emily K, a/k/a “The Darwinian Artist,” is a consultant-artist in Philadelphia, Pennsylvania. She works with hardworking and talented but often cash-strapped filmmakers on commission: painting, animating, designing, and illustrating. Ḥazzan Jack Kessler is the dean of the Cantorial department of the professional training program of Aleph: Alliance for Jewish Renewal, and teaches a number of cantorial students. His current performance projects are directing, composing for, and being the vocal lead of the two touring ensembles Atzilut, a duet format of Arab and Jewish musicians performing together, and Klingon Klezmer, which does ‘Jewish music from other planets. Ḥazzan Kessler was ordained as a Cantor at the Jewish Theological Seminary of America, and went on to have a twenty-year career serving Conservative congregations. During that time he received a Master’s degree in voice from Boston Conservatory and pursued studies in composition in the graduate department of Brandeis University, where he worked with Arthur Berger and Harold Shapero, and Bethany Beardslee at Harvard. A lyric baritone, he has performed opera, oratorio, and premiered new works, in addition to his ongoing career as a singer of Ḥazzanut, the sacred cantorial art. Originally trained as an Ashkenazi Ḥazzan, his performance style and original compositions also embrace Sephardi and Mizrachi styles. Ḥazzan Kessler has lectured and taught master classes in Jewish music at New England Conservatory in Boston, the Academy for Jewish Religion in New York, and presented many concerts in an educational format. Daniel Kieval works with children and families of all ages and trains educators in the curriculum and pedagogy of experiential Jewish environmental education. He joined Teva Learning Center in 2011, having previously taught at the Pearlstone Center's Jewish educational farm and at Glen Helen Outdoor Education Center. 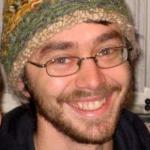 Daniel studied Biology at Wesleyan University and Permaculture and Ecovillage Design at Kibbutz Lotan in Israel. Rachel Kirsch Holtman (b. 4 Oct 1885 - d. 20 Jun 1962) was a Yiddish author and journalist. She translated works by Lenin and Bukharin into Yiddish and wrote her autobiography in Mayn Lebens-veg (1948). 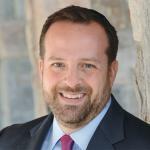 David-Seth Kirshner (born 1973), is the Rabbi of Temple Emanu-El, in Closter, New Jersey. Prior to becoming a congregational rabbi, he worked at the Jewish Theological Seminary, which he joined in 1999, serving as Senior Director of Institutional Advancement, overseeing the Seminary's development and outreach efforts. 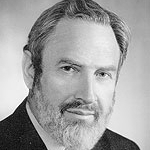 For five years, Kirshner also served as spiritual leader for the Hebrew Congregation of Fitzgerald, in Southern Georgia. (via his entry in Wikipedia). Dr. Samuel Klausner is an Emeritus Professor of Sociology at the University of Pennsylvania. He has continued his lines of research in the Sociology of Religion and in Methodology-Philosophy of Science, applying sociological thought to the clarification of classic documents. Currently, his long range project is a comparison of Hebrew and Muslim dietary systems as a window to their theological presuppositions. He is completing a methodological critique of wissenschaft Bible scholar’s work on interpreting a verse in the Books of Exodus and Deuteronomy. Rabbi Gary Klein is spiritual leader of Temple Ahavat Shalom, Palm Harbor, Florida, a position he has held since July, 1987. Prior to assuming the pulpit of there, he served for nine years as spiritual leader of Temple Beth Israel, Altoona, Pennsylvania. Before moving to Altoona, Rabbi Klein served for three years as Assistant Rabbi and Director of Education and Youth Programming at Temple Anshe Sholom, Olympia Fields, Illinois. Rabbi Tracy Guren Klirs recieved her B.A. in Yiddish literature at the University of Chicago and graduated Phi Beta Kappa in 1977. She was ordained as a rabbi from the Hebrew Union College Jewish Institute of Religion in Cincinnati in 1984. Her book, The Merit of Our Mothers: A Bilingual Anthology of Jewish Women’s Prayers, was published by HUC Press in 1992. She currently serves as director of education at Temple Israel in Charlotte, North Carolina. 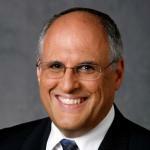 Claudio Kogan is rabbi of Temple Emanuel, McAllen, Texas. Born in Argentina, he graduated from the medical school of the University of Buenos Aires, Argentina . He holds a Masters in Education from Xavier University in Cincinnati, Ohio and a Masters Degree in Bioethics from the University of Pennsylvania, Medical School, in Philadelphia, Pennsylvania. Eugene Kohn (January 26, 1887 - April 1, 1977) was an American Reconstructionist rabbi, writer and editor. Born in Newark, New Jersey he attended the Jewish Theological Seminary of America and in 1912 received ordination. It was here that he met Rabbi Mordecai Kaplan who taught him homiletics. Between 1912 and 1939 he served as a congregational rabbi in Conservative synagogues in the U.S. states of Maryland, New Jersey, New York, Wisconsin and Ohio. He also served as the president of the Rabbinical Assembly 1936-1937. He played a central role in the Reconstructionist movement. He edited its journal The Reconstructionist and, alongside Kaplan and Ira Eisenstein, edited The New Haggadah (1941), The Sabbath Prayer Book (1945) and The Reconstructionist Prayer Book (1948). Alongside Jack Cohen, Eisenstein and Milton Steinberg he was one of Kaplan's main disciples. 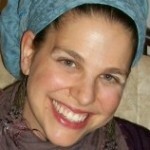 Rabbi Raquel S. (Riqi) Kosovske is the rabbi of Beit Ahavah ~ The Reform Synagogue of Greater Northampton in Northampton, Massachusetts. Nir Krakauer is a civil engineering professor at City College of New York. Rabbi Miles Krassen, PhD., is a teacher, author, scholar in the fields of comparative mysticism and the World’s Wisdom Traditions, and musician. He completed his doctorate in Religious Studies at the University of Pennsylvania and received rabbinic ordination from the P’nai Or Fellowship. Currently located in Albuquerque, NM, he serves as Rabbi of Planetary Judaism, an organization for disseminating progressive mystical Jewish teachings based on the spiritual insights of early Hasidism and Kabbalah. He devotes himself to mystical studies and practice, and the teaching and training of teachers and practitioners of a new paradigm for inner development and self-transformation within the Jewish tradition. In addition to his academic career, Reb Miles has been teaching inner Judaism for many years to private students and at summer retreats including Elat Chayyim, the Aleph Kallah, and Ruach Haaretz. His classes and workshops are based on a deep love for traditional sources, familiarity with many non-Jewish wisdom traditions, and respect for the latest findings of contemporary scholarship and science. Rabbi Harold J. Kravitz holds the Max Newman Family Chair in Rabbinics at the Adath Jeshurun Congregation, Minnetonka, Minnesota. He has served the congregation since 1987 when he was ordained by the Jewish Theological Seminary. He is Past Board Chair of MAZON: A Jewish Response to Hunger and serves on the rabbinic advisory committee of the Masorti Foundation. He serves as an officer of the Rabbinical Assembly. He serves also on the RA's Va’ad Hakavod (Professional Ethics Committee), which he chaired for six years. Rabbi Gabriel N. Kretzmer Seed is a professional chaplain and graduate with semikhah from Yeshivat Chovevei Torah. He is a co-founder of the zemirotdatabase.org. Rabbi Aaron Krupnick was born and raised in Philadelphia. 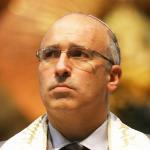 He was ordained by the Conservative Movement’s Jewish Theological Seminary in 1988. Upon ordination, Rabbi Krupnick and his wife Helene moved to Montgomery, Alabama, where he served as spiritual leader of Agudath Israel Synagogue for six years. 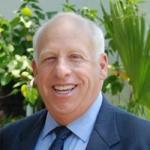 In 1994, Rabbi Krupnick became Associate Rabbi at Congregation Beth El and was named Senior Rabbi in 2000. He holds a Bachelors Degree from Columbia University in Comparative Religion, a Bachelors Degree from the Jewish Theological Seminary in Philosophies of Judaism, and a Bachelors Degree in Hebrew Literature from the University of Judaism in Los Angeles, California. Other degrees include a Masters in Counseling and Human Development, as well as a Masters in Rabbinics.